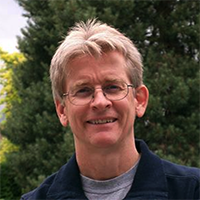 Mark Haden is Adjunct Professor at the University of British Columbia School of Population and Public Health. He has been published on the issue of drug policy in the Canadian Journal of Public Health, and the International Journal of Drug Policy. Haden was involved in producing the Health Officers Council paper on the regulation of illegal drugs in 2005. He currently provides public education on drugs and drug policy, and is a parent with two children and an active member of the Vancouver outdoor recreation community.